We do have three different type of whales living in the coastal water at Plettenberg Bay. Some of the whales are seasonal and some of them are the whole year around. 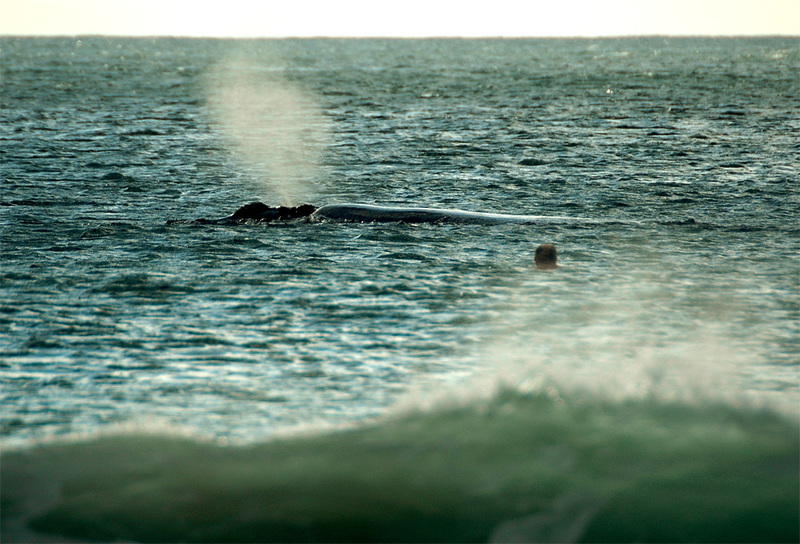 Bryde’s whales –> Living the whole year in the coastle water around Plett. 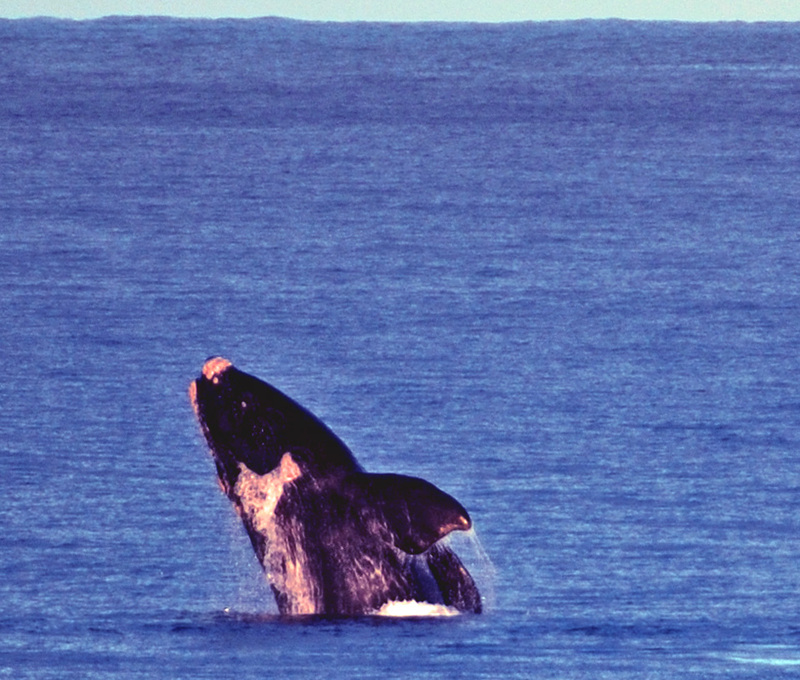 Southern Right Whales –> Seasonal: From end of Juni to beginning of Nov. – Dezember. Humpback whales–> Seasonal: From end of Juni to beginning of Nov. – Dezember. If you go for a stroll at the beach, you are able to watch them with just your eyes. 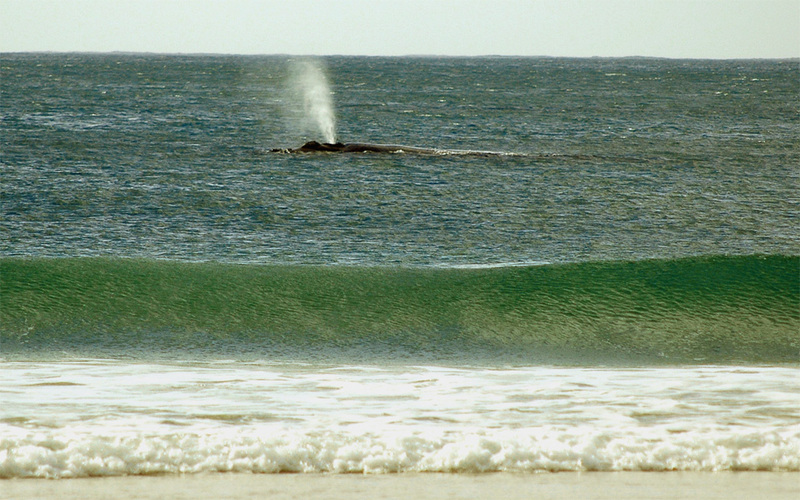 The Southern Right and the Humpback whale are often spotted very close to the beach just behind the surf. Often more then only one animal are together, because the male are courting the female and sometimes a mother with its calve. 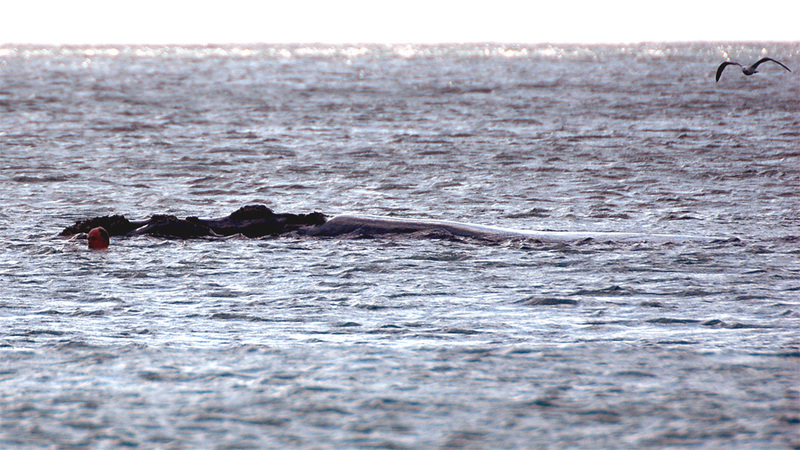 Brydes Whales not seen often so close to the beach and you find them more offshore. Whale watching tours are offered in Plettenberg Bay and with a bit of luck you experience the soft giants and it will happened right in front of your eyes. A tip-off for a bad sailor: Don’t book a day in advance. Book a whale watching trip on the same day but not before you had a look onto the see. Some key fitures of the Southern Right Whales. The southern right whale (Eubalaena australis) is a baleen whale, one of three species classified as right whales belonging to the genus Eubalaena. Like other right whales, the southern right whale is readily distinguished from others by the callosities on its head, a broad back without a dorsal fin, and a long arching mouth that begins above the eye. Its skin is very dark grey or black, occasionally with some white patches on the belly. The maximum size of an adult female is 18.5 m (61 ft) and can weigh up to 80 tonnes (79 LT; 88 ST). The testicles of right whales are likely to be the largest of any animal, each weighing around 500 kg (1,100 lb). This suggests that sperm competition is important in the mating process. Right whales cannot cross the warm equatorial waters to connect with the other (sub)species and (inter)breed: their thick layers of insulating blubber make it impossible for them to dissipate their internal body heat in tropical waters. The southern right whale spends summer in the far Southern Ocean feeding, probably close to Antarctica. It migrates north in winter for breeding and can be seen by the coasts of South Africa. The total population is estimated to be around 12,000. Since hunting ceased, stocks are estimated to have grown by 7% a year. The maternal fidelity to feeding and calving habitats is very strong. The mother also passes these choices to her calves. In South Africa is the coastline of the De Hoop National Park and the bay of Plettenberg one of the most important breading points. Some key fitures of the Humpback Whales. The humpback whale (Megaptera novaeangliae)often seen in coastal water is a baleen whale. One of the larger rorqual species, adults range in length from 12–16 metres (39–52 ft) and weigh approximately 25,000 – 30,000 kilograms. The humpback has a distinctive body shape, with unusually long pectoral fins and a knobbly head. It is an acrobatic animal, often breaching and slapping the water. Males produce a complex whale song, which lasts for 10 to 20 minutes and is repeated for hours at a time. The purpose of the song is not yet clear, although it appears to have a role in mating. Found in oceans and seas around the world, humpback whales typically migrate up to 25,000 kilometres each year. Humpbacks feed only in summer, in polar waters, and migrate to tropical or sub-tropical waters to breed and give birth in the winter. During the winter, humpbacks fast and live off their fat reserves. The species’ diet consists mostly of krill and small fish. Humpbacks have a diverse repertoire of feeding methods, including the bubble net feeding technique. Plettenberg Bay whales | Jumping Southern Right Whale in the Bay of Plettenberg. You identify them by the shape of the flipper. 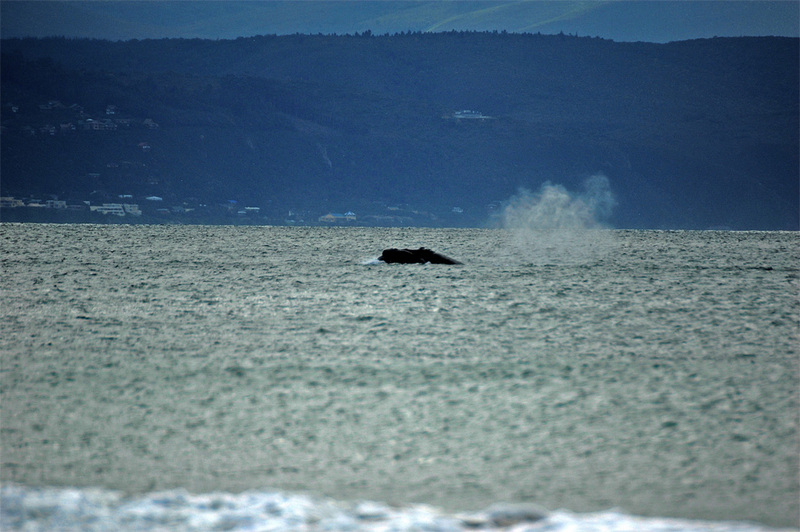 Plettenberg Bay whales | You can see clearly the blow out of a Southern Right Whale in the Bay of Plettenberg. 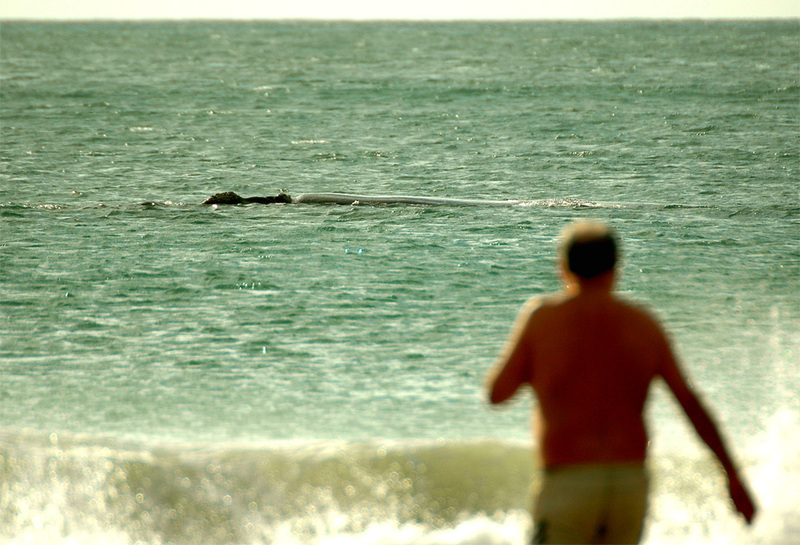 Plettenberg Bay whales | Man is going to swim to the whale close at the beach. Plettenberg Bay whales | Man swam already half way to the whale close at the Robberg Beach. 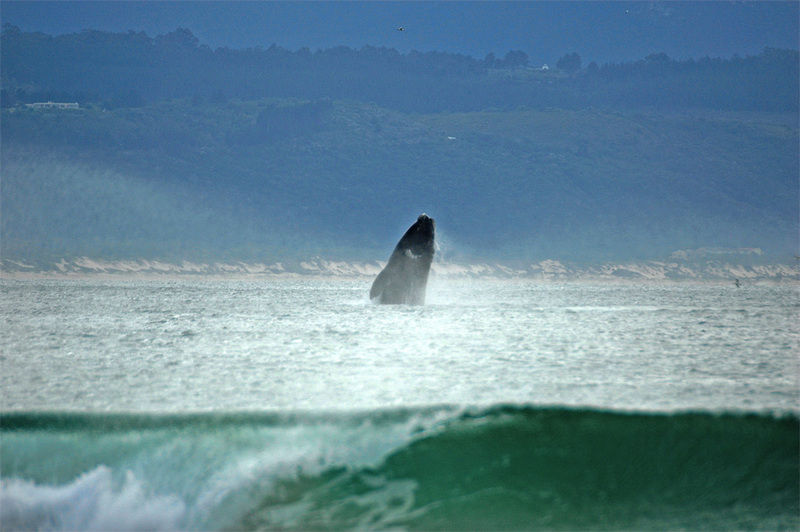 Plettenberg Bay whales | You can see the rest of the blow out of a Southern Right Whale in the Bay of Plettenberg. 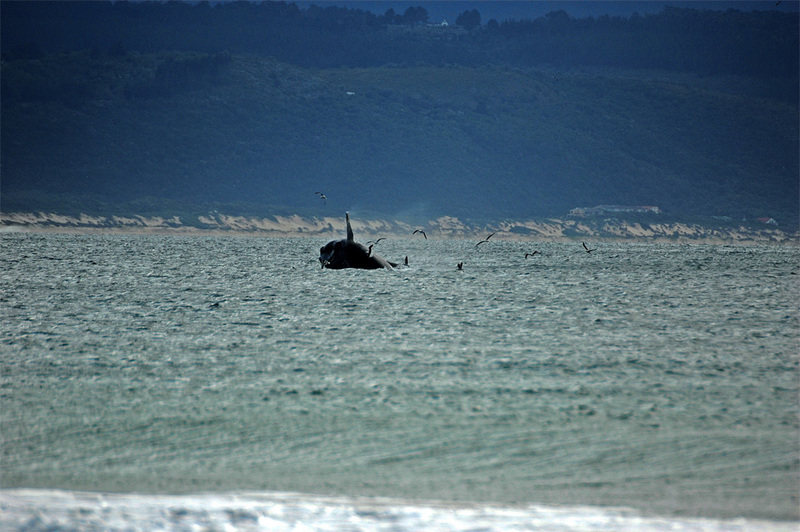 Plettenberg Bay whales | A Southern Right Whale heave himself out of the water in the Bay of Plettenberg. 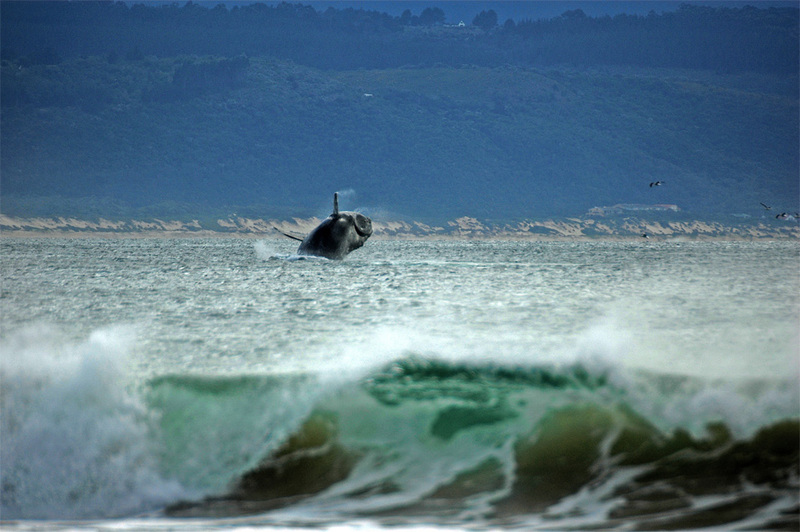 Plettenberg Bay whales | Jumping whale in the Bay of Plettenberg. Spotted from the beach. Plettenberg Bay whales | Jumping Southern Right Whale in the Bay of Plettenberg. 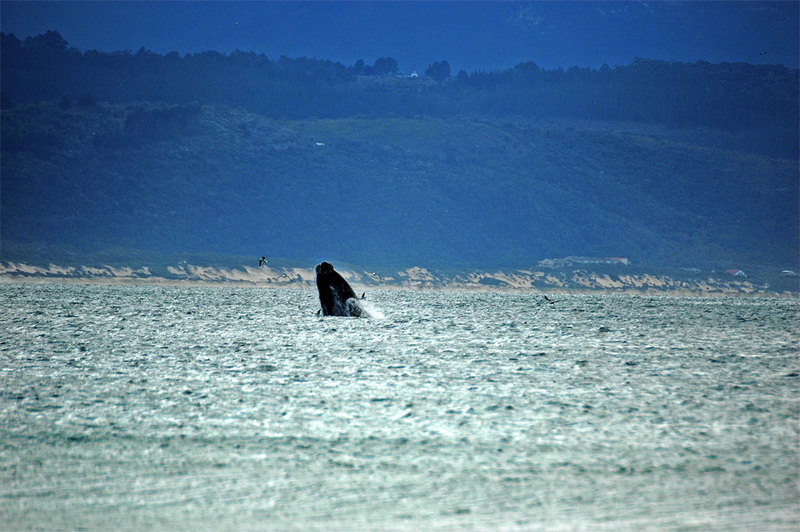 Plettenberg Bay whales | Jumping whale in the Bay of Plettenberg.